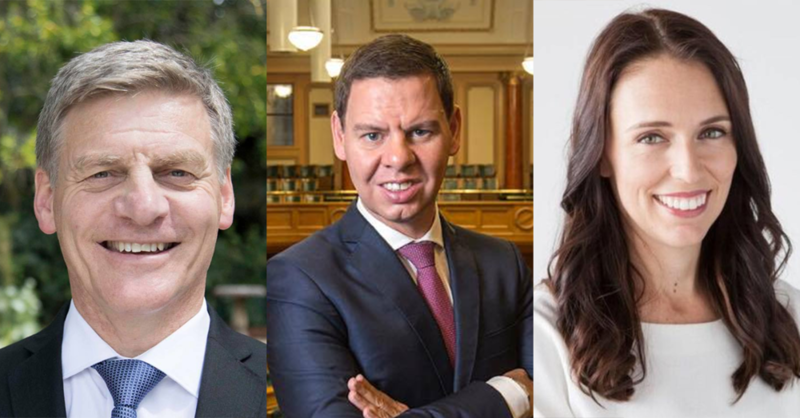 Tonight is the Paddy Gower Hour of Power and with a week to go until advance voting starts it's now or never for Bill English. Off the back of a stronger than expected showing in the first debate, and polls showing that the appetite for change is growing, tonight's debate represents Bill English's best chance to stop the Jacinda Express in its tracks. How will Bill do it though? As he noted in Tauranga on Friday "You know there is people out there, they are seeing all of this stardust in the media about the leader of the Labour Party and thinking maybe that looks a bit fresh - well I can tell them otherwise, but you know what, they believe you." This is the crux of Bill's problem, he needs to find a way to trip Jacinda Ardern up in the debate in a way that shatters the "stardust" and gets people to think twice about whether they really want Jacinda in the ninth floor of the Beehive, without coming off as being nasty in doing so. The 1News debate showed that Jacinda has weaknesses. She struggles badly on policy details, notably with her tax policy which allowed Bill to score with the zinger "People can't go shopping with your values." The problem is that debates seldom allow time to go into those details, and the breakneck speed of Mike Hosking's debate meant that any potential damage to Jacinda was avoided as they quickly moved on. If Patrick Gower returns to those themes of tax, Bill needs to make the most of them to put Jacinda on the back foot. One possible opportunity is how Jacinda tried to defend her lack of knowledge about policy on the basis that she'd only been leader for four weeks. It's almost as if Jacinda wants us to forget that she was deputy leader for five months before that, and one of the senior members of Labour's caucus over the past term. If, as deputy, you haven't bothered to understand your party's policies, how do you ever expect to do so as leader? All that being said, Bill wasn't without issues either. He was caught out over productivity data and water quality, with Hosking conjuring up the mental image of Bill being caught with his pants down over the government's sluggish response to concerns over water. Bill did manage to defend some of the concerns over housing affordability and shortages, but he was helped in this by Jacinda's own inability to competently articulate Labour's housing policy. After having said that her affordability range was between $400,000 to $600,000, Hosking caught Jacinda out over how Labour could build houses cheaply enough in Auckland to make that work. Bill has to find a way to force Jacinda to fight the debate on his terms, over policy and details, which complements his strengths, hits Jacinda's primary weakness, denies her the ability to go to her strong vision and values pitch, and will play to that nagging suspicion swing voters have about the competence of Labour to deliver on its broad promises. I have a hunch though that all of this might not matter. Coming so soon after the first debate, it's that this debate hasn't left either participant much time to change their approach. And they're both at risk at being over-shadowed by Patrick Gower, whose enthusiasm for politics and energetic style could end up stealing the show. Sadly I wasn't the one who came up with the "Paddy Gower Hour of Power" line. It was someone on Twitter back when Campbell Live had been taken off the air and everyone was speculating what it'd be replaced with. Older PostWhy has Jacinda's Twitter account gone silent?